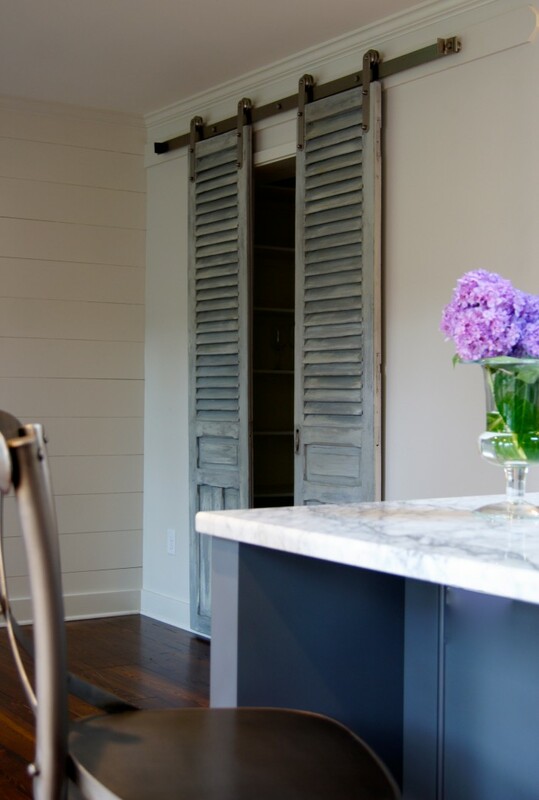 In the bedroom or in the kitchen, shutters don’t only go outside on the windows. With a bit of creativity and some handiwork, you’ll be able to take some older pieces and make them new again! 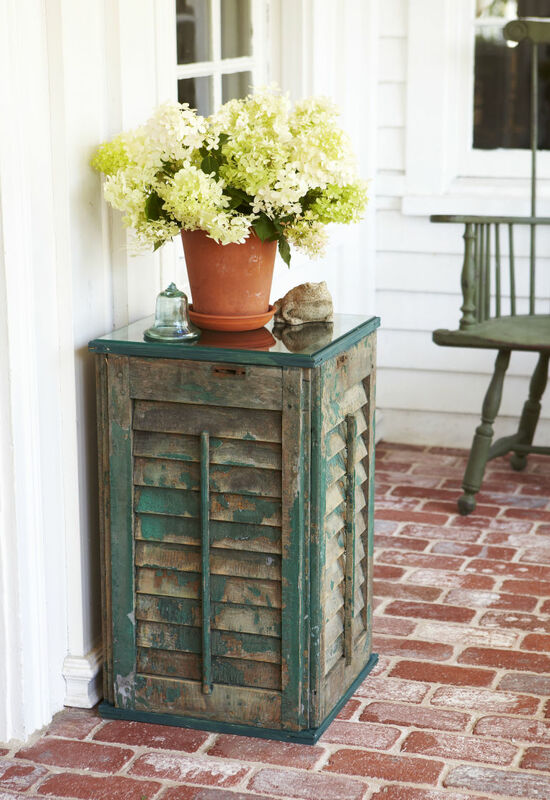 These 25 DIY shutter projects will ignite your rustic style and have you giddy with possibilities. Southern Hospitality starts us off with this beautiful forcus piece that can be used in the foyer, dining room or even in the living room. 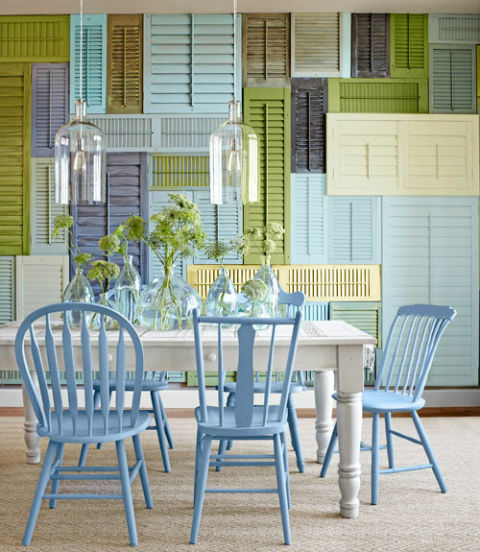 Just color the shutters in a shade you love. Samantha Elizabeth took one shutter and cleaned up the counters. Store you mail in an easier way now! Open shelving can be a lot of fun. 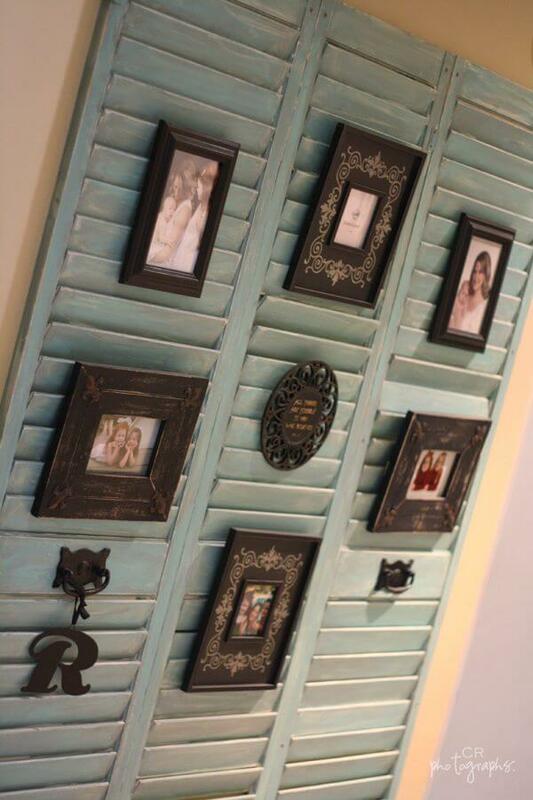 Use a shutter to display and store them. Just visit Laurie Anna’s for the details. 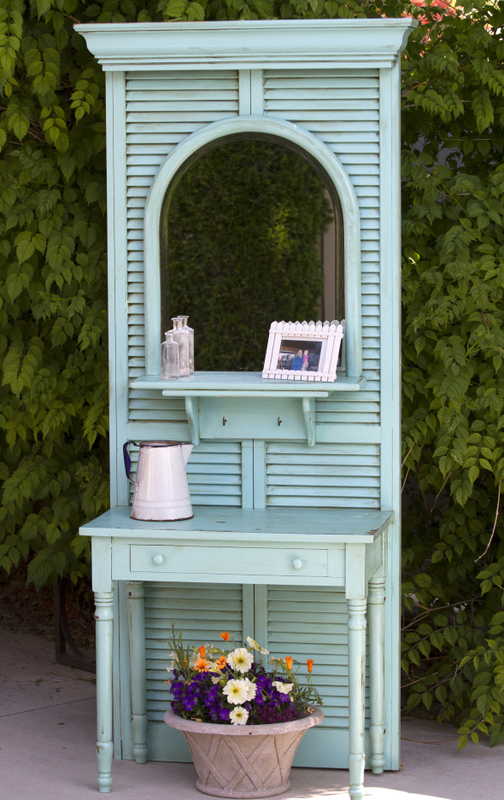 Good Housekeeping created a side table completely our of shutters! Check out the tutorial after the jump. 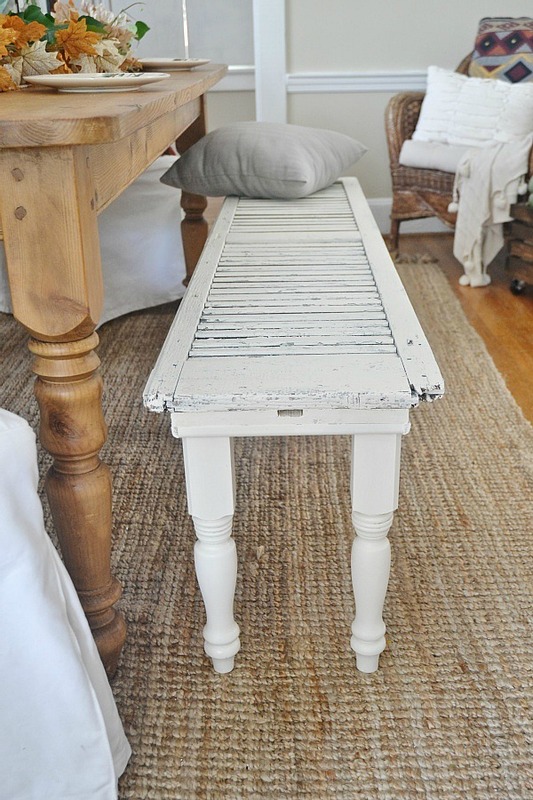 We love funky, mismatched seating and this bench from Liz Marie would be a great addition to your dining room. And it’s easier than you may think to create! Me & Mrs. Jones made sliding doors out of old shutters! 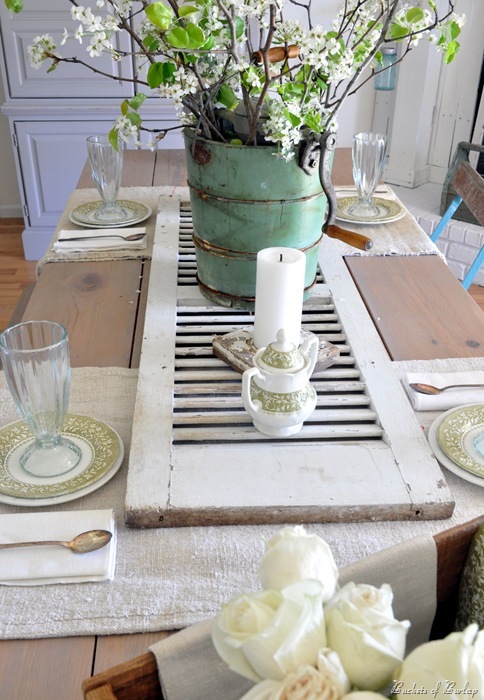 We are loving the blend of modern and rustic styling here. 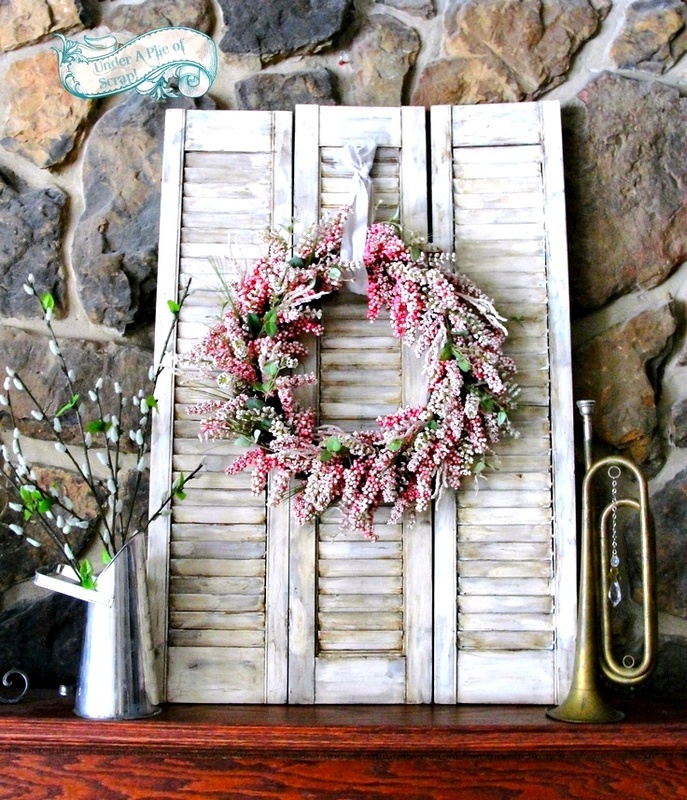 Funky Junk Interiors used an older shutter as a beautiful backdrop for a wreath. 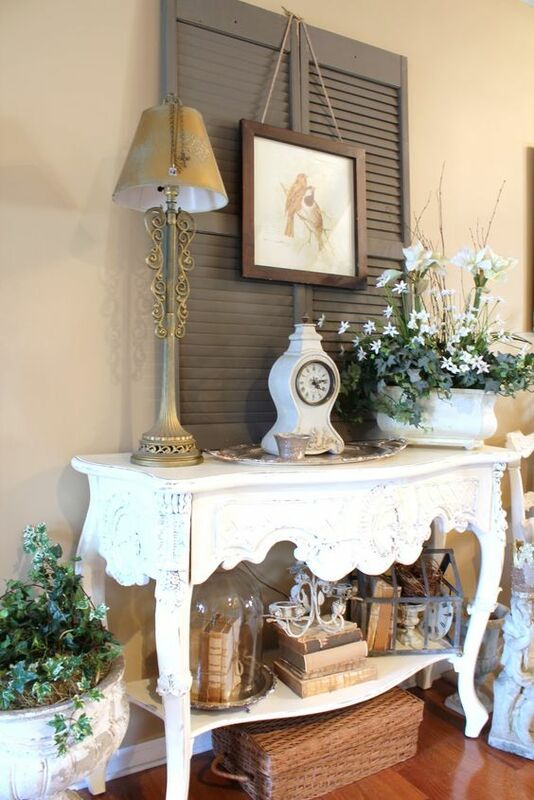 Up on the mantle or in the foyer, it’s a fun way to decorate. 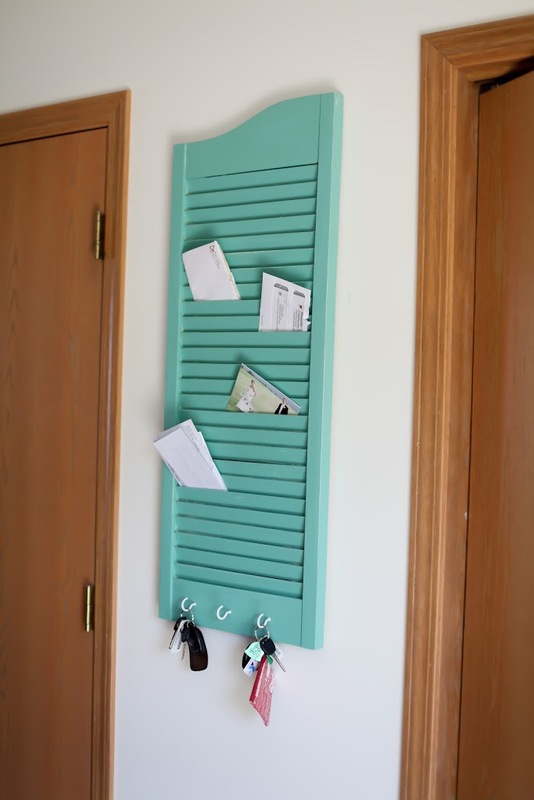 Home road makes an easy organize out of an old shutter that works great for family homes. In the kitchen or in the home office, these are really helpful! 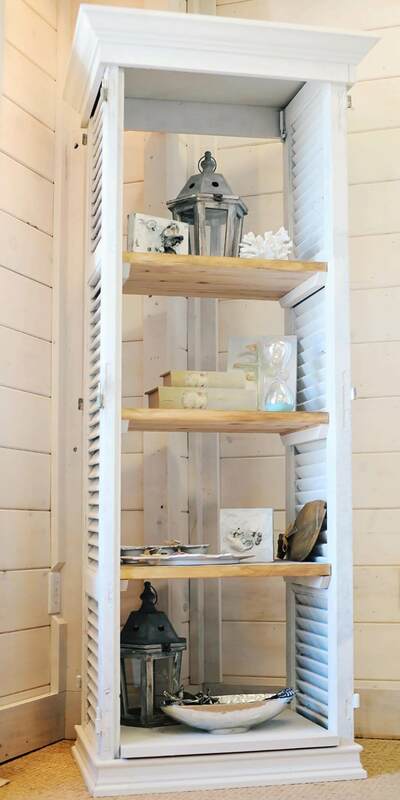 Homeroad also made this little shelving unit out of an old shutter! Add some hooks and clean up a bit in the corners. 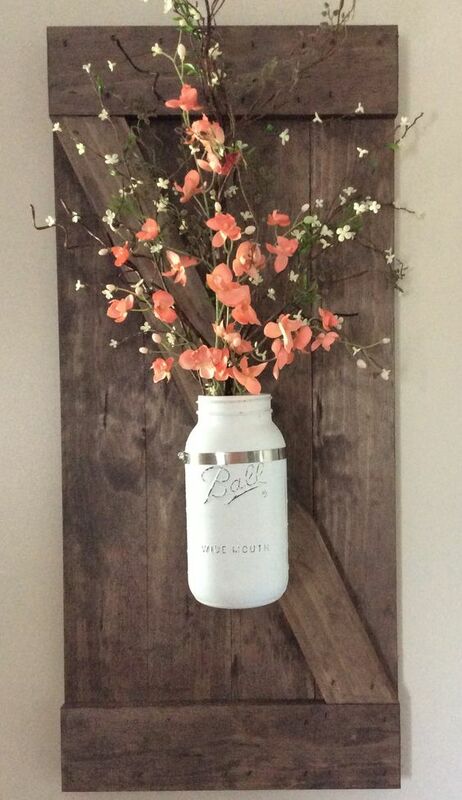 We’re loving this welcome sign made by My Repurposed Life. Use it all year long and change it out with the holidays and seasons. 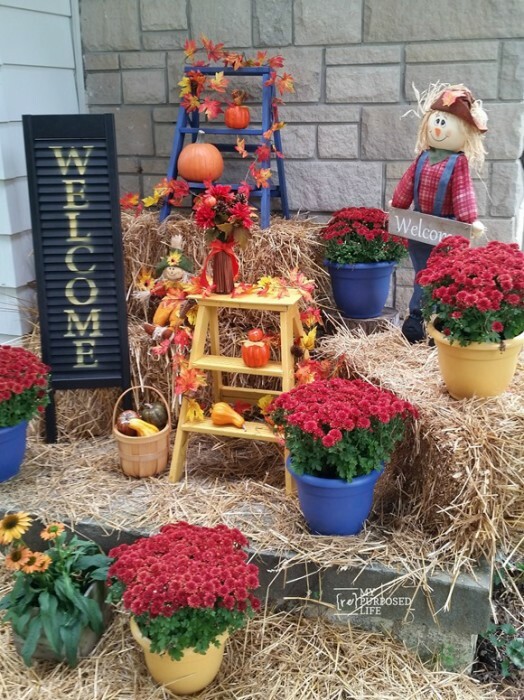 Worthing Court used some shutters to help in their collectible plate displays. It’s a beautiful way to do so in a more traditional home. 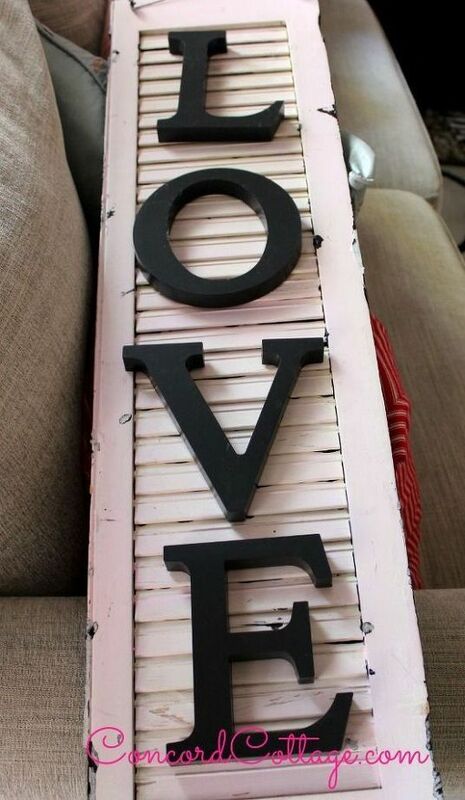 You can even add some lettering to your shutters. Just check out the inspiration at Hometalk. Or you can go all out like they did over at Country Living. An accent wall full of texture and color, bring your cottage home full circle with this project. The Lettered Cottage used old shutters to create a girlish and charming new headboard. And we’re loving the powder blue color choice, aren’t you? 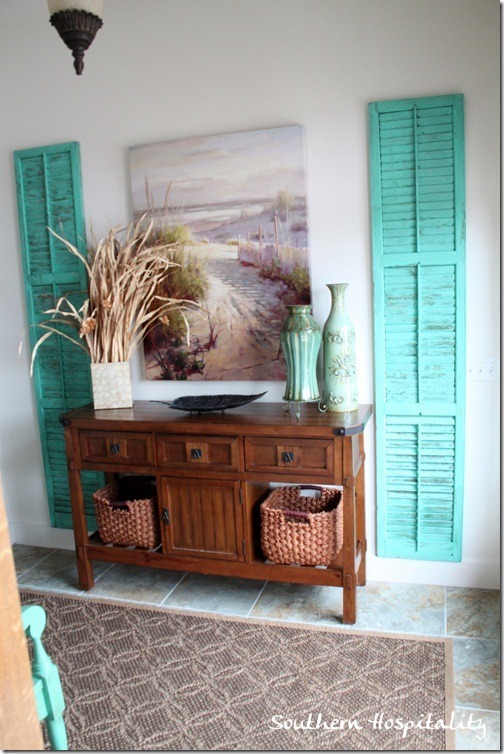 You can find all different kinds of shutters to make some magic inside the home. 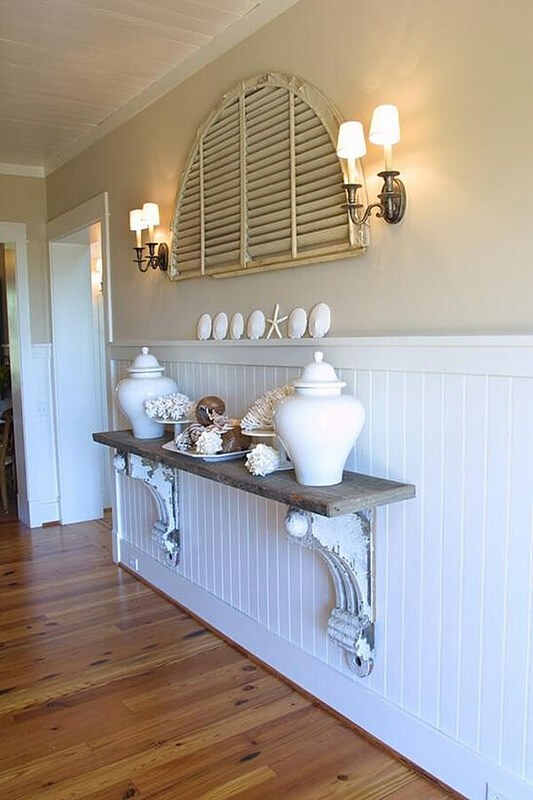 And this semi-circle piece at Completely Coastal inspires us. 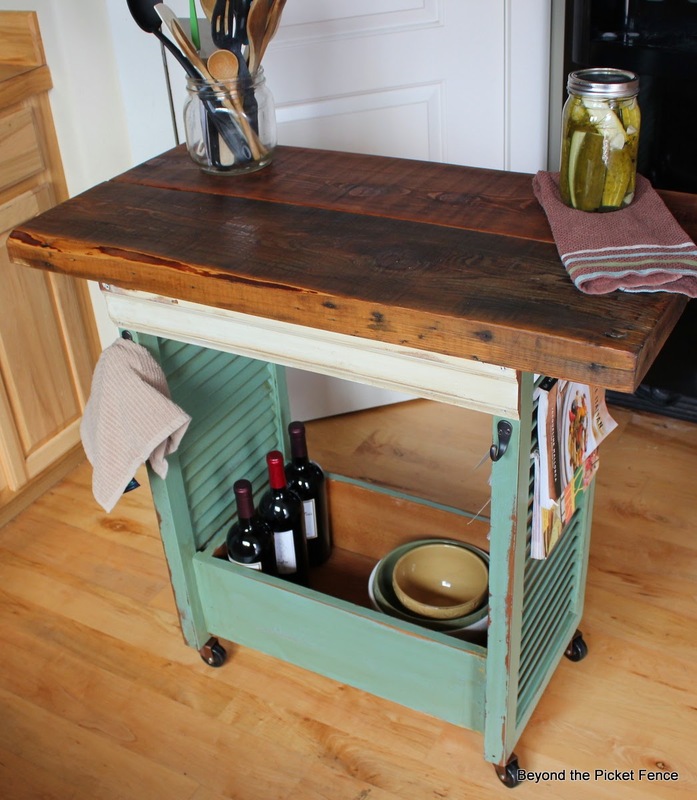 Beyond the Picket Fence made a kitchen island using some shutters in its design. We love this innovation! 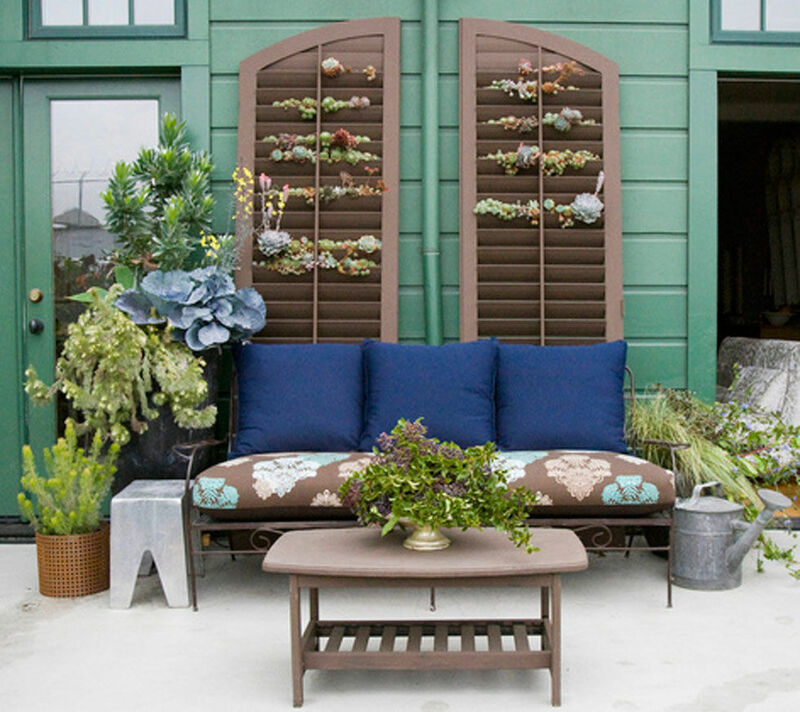 The Morton Project grabbed some larger shutters and turned them into vertical planters! 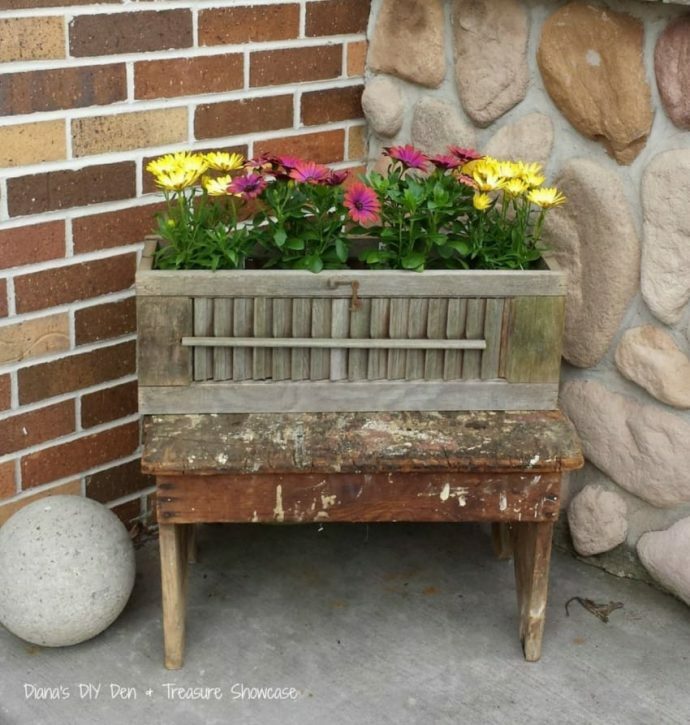 Just imagine the life you can bring to your back porch or patio area with this. 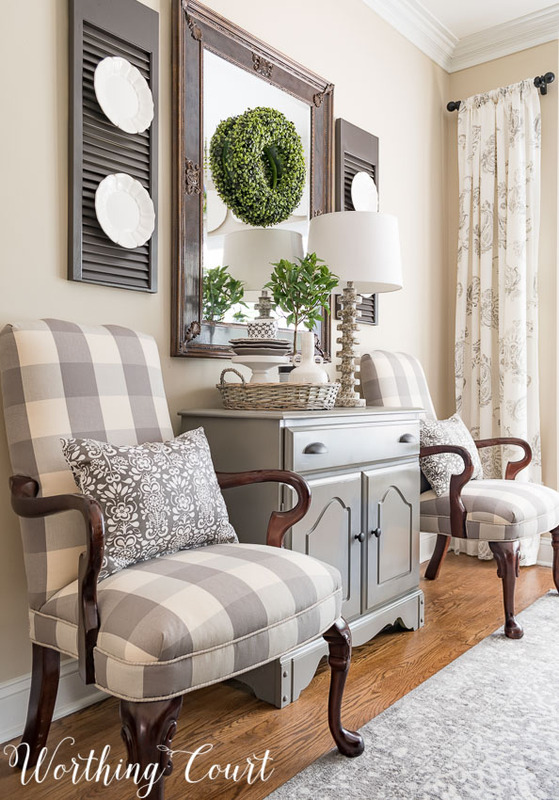 A hallway tree could be a nice addition to your home, don’t you think? Grab the details at Life at the Cottage. 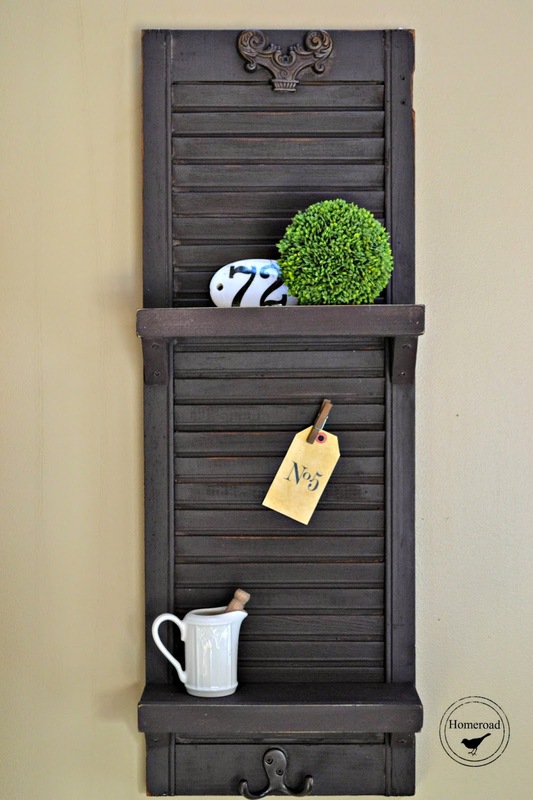 The post These 25 DIY Shutter Projects Will Ignite Your Rustic Style appeared first on DIYs.com.